Over the last year, pro wrestling on Twitch has become a big business. What started with some small, independent promotions airing their shows on weekends has grown into a Twitch mainstay. Twitch is now home to a dedicated fanbase of wrestling aficionados and looks to be growing that portion of its offerings. The company has reached a deal with Mexican wrestling promotion AAA to be the streaming home of Triplemania XXVI. Triplemania XXVI will be streamed on Twitch in both Spanish and English commentary when the show goes live on August 25 from 6:00 PM PT. The pre-show festivities will also be streamed on Twitch beginning at 4:30 PM PT. 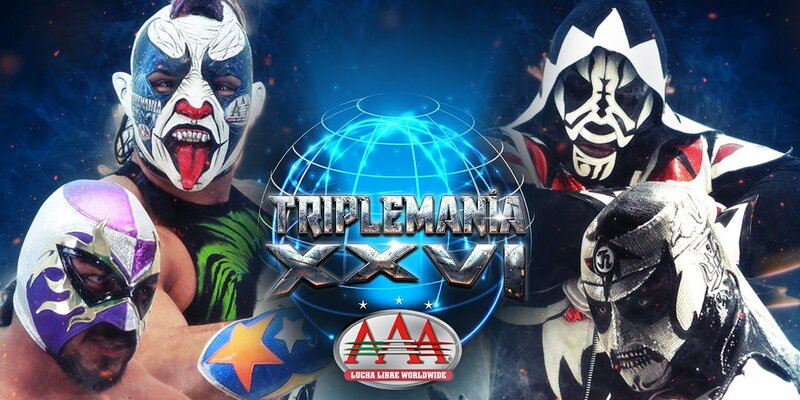 Fans can begin viewing the best of Triplemania on the official AAA Twitch Channel right now. As Mexico’s top pro wrestling promotion, AAA is home to the world’s finest Lucha Libre performers, including Psycho Clown, El Hijo del Fantasma, L.A. Park, and Pentagón Jr. for the men’s division and Faby Apache and Lady Shani for the women’s division. If you simply cannot get enough wrestling action on Twitch, be sure to catch our own Shacklemania wrestling show on Twitch.